Jack White has a new book out. No, it's not a memoir or a history of vinyl: it's a children's picture book. We're Going To Be Friends sets the lyrics to the 2002 White Stripes song to a charming set of illustrations by Elinor Blake. Of course, you knew Jack White wasn't just going to get any old illustrator to adapt his song. Blake's hipster credentials are impeccable. She's an animator who's worked on Ren & Stimpy and Pee Wee's Playhouse, and she also has a career as a singer-songwriter under the name April March. With pointy ears containing the outlines of a treble clef (for the girl) and a bass clef (for the boy), the kids, Blake says, are "melting-pot elves." For the boy, Blake took inspiration from the young Michael Jackson and the child actor Mark Lester (Oliver in the 1968 movie musical). Her points of reference for the girl were Ronnie Spector and Blake's Pussywillows bandmate Lisa Dembling. "We're Going To Be Friends" isn't the first rocker's song to be given the picture-book treatment; in fact, there have been many. For reference, I took a look at two notable examples: the 1991 adaptation of Simon and Garfunkel's "At the Zoo," and the 2014 book based on Bruce Springsteen's "Outlaw Pete." Each animal described by the song has a particular trait. "The monkeys stand for honesty" is easy enough for illustrator Valérie Machaut, who shows the critters pointing in the direction of a lonely polar bear three children have come to visit. From there, things get weirder. The "insincere" giraffes wear sunglasses...to hide their insincere eyes? The "reactionary" zebras become cops, chasing stray beavers back to the pond. The "missionary" antelopes are portrayed as medics. When hamsters "turn on frequently," they do so with headlamps. Oh, and remember that zookeeper who was "very fond of rum?" It turns out that Rum is the name of a particularly charming beaver. Then there's Outlaw Pete. 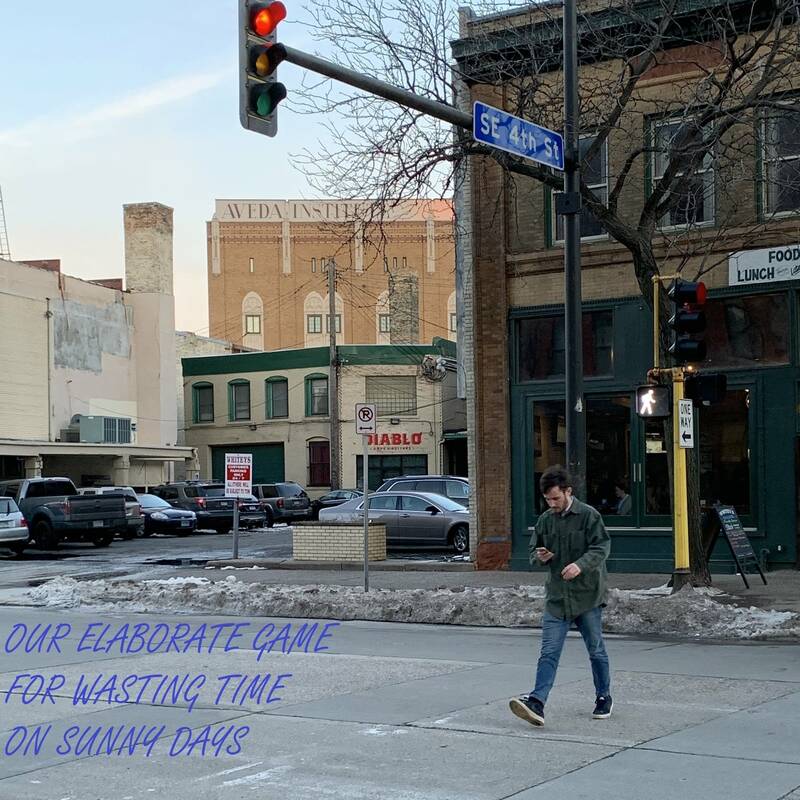 It's a song you probably don't even know unless you go deep with the Boss's underwhelming 2009 album Working on a Dream. It's a story-song that begins with the title character robbing a bank in his diapers — fer cute, and the lil bandit is the cover image as drawn by Frank Caruso. Pete grows up, though, and becomes a murderer. Yep, we see it happen: he throws a knife right into the heart of Bounty Hunter Dan. Later, he escapes capture by a posse and we learn that his whereabouts remain unknown. "I'm not sure this is a children's book," Springsteen writes in an afterword...but it's not exactly a graphic novel either. Anyway, Springsteen thinks kids can handle it. "If Bambi is for kids, this is fine," he told the Washington Post. "If Lion King is for kids, this will be fine also." In the afterword, Springsteen elaborates. "Outlaw Pete is essentially the story of a man trying to outlive and outlast his sins. He's challenging fate by trying to outrun his poisons, his toxicity." Kind of makes you want to go back to school, doesn't it? Ring the bell, brand new shoes. I'm a huge fan of both Paul Simon and Bruce Springsteen, but I can tell you which of these books I most want to be friends with. Use this form to enter The Current's We're Going To Be Friends giveaway between 8 a.m. CDT on Wednesday, December 6, 2017 and 11:59 p.m. CDT on Tuesday, December 12, 2017. 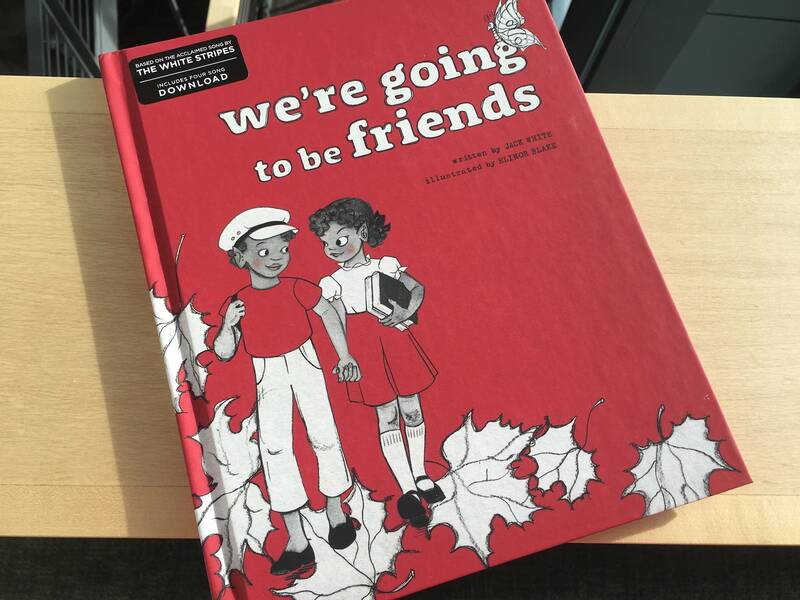 One (1) winner will receive one (1) hardcover copy of We're Going To Be Friends. Three (3) back up names will be drawn. We will contact the winners on Wednesday, December 13, 2017. Winner must accept by 10 a.m. CT on Thursday, December 14, 2017.